In late 2014 Yijing Mine appeared to be closed with the rails looking as if they had been out of use for some months. 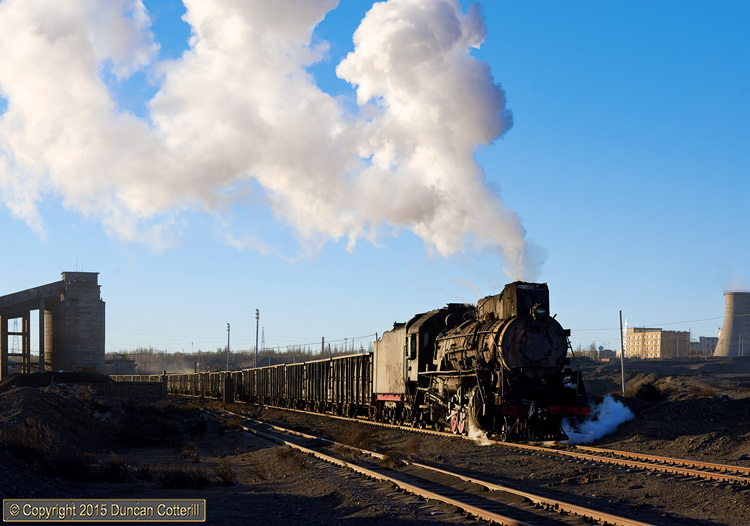 This wasn't a surprise as Yijing had been used as a loading point for coal from the new Shadunzi mine and that was now rail connected itself. On 30 November 2015, we were surprised to find JS.8314 loading a train at Yijing but had to wait while it made four very slow passes under the loader before getting the departure shot.